Thirty-seven luxury resorts around the world operating under the Banyan Tree, Angsana and Cassia have officially joined the Le Club AccorHotels loyalty program as part of a reciprocal partnership between the two organisations. Originally signed in December 2016, the tie-up between AccorHotels and Banyan Tree Hotels & Resorts saw the two businesses agree to collaborate on a development and management plan for Banyan Tree’s network of resorts. As part of the partnership, Banyan Tree effectively became an extension brand within the AccorHotels network, gaining access to the latter’s distribution and reservations systems and access to the Le Club AccorHotels loyalty network. Elite members of Le Club AccorHotels can enjoy, as part of their membership, a range of personalised services at Banyan Tree, Angsana and Cassia resorts by virtue of their loyalty status. At this stage, it has been determined that 11 resorts in the Banyan Tree network have opted not to participate in this phase of the B2B tie-up and will remain outside the loyalty program. Le Club AccorHotels currently boasts 53 million members globally, with 16 million in the Asia Pacific region. The program’s Vice President Loyalty Asia Pacific, Henrik Berglind, said he hopes the addition of the brands allowed members to both accrue and redeem points and take advantage of the resorts on offer. 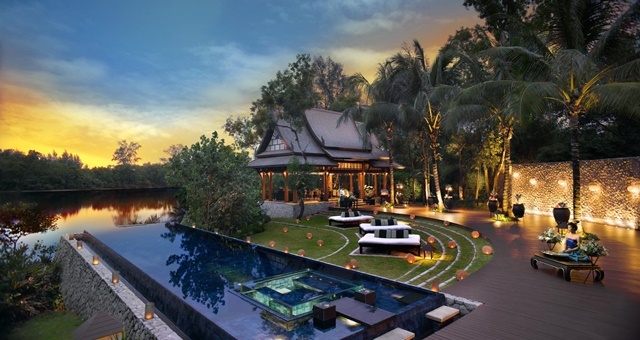 “With the introduction of the three new brands into one global loyalty program, our members now have even more destinations and more hotels to choose from around the world, with Banyan Tree’s luxury hotels and resorts offering a sanctuary for the senses in unique and modern accommodations,” Berglind added.